Fits Shimano standard chain sets. Black or silver available, if your preferred finish/size option is not listed, contact us to special order. From 58 teeth owards these are supplied with cut outs. 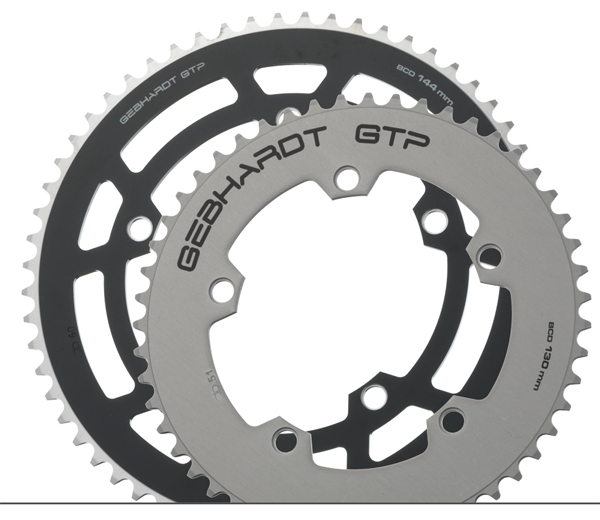 Fits Campagnolo Road (pre Ultra Torque) and Miche (up to 2006) track chainsets. Fits Campagnolo track-standard (includes modern Miche, machined-out backs, track) chain sets. Fits some compact ATB chainsets. Ideal if converting to single speed/fixed when running 1/8" chain.